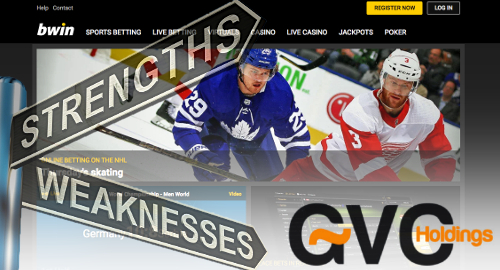 UK-listed gambling operator GVC Holdings has pulled its Bwin and PartyPoker brands from Switzerland after apparently failing to reach a deal with a local casino partner. On January 1, Switzerland's new online gambling laws took effect, following last summer's public referendum that saw nearly three-quarters of voters approve the new regime. The law allows Swiss land-based casino operators to offer online casino and poker products for the first time. The law also requires Swiss internet service providers to block the domains of any international operator who fails to strike a partnership with a local land-based operator. Some companies have already announced such deals, including UK-listed Playtech, which signed with the Swiss Casinos Group last November, while others such as Belgium's Ardent Group chose to buy their way into the Swiss online market. Last September, GVC said it was having "discussions" with an unspecified Swiss land-based operator regarding an online tie-up, but assured investors that there would be no great calamity if these talks failed to produce a satisfactory result, as Switzerland represented less than 1% of group revenue. Those talks apparently didn't go the way GVC would have preferred, as its PartyPoker and Bwin brands began turning away their Swiss players last week. Other companies, including MRG (formerly Mr Green, recently acquired by William Hill) and NetBet, have also bid their Swiss customers a fond farewell. The Stars Group's PokerStars brand is staying put for the moment, apparently convinced that a local partnership is imminent. Swiss regulators won't technically begin enforcing their new rules until July, which is when the country's first new online licenses are expected to be awarded. The operators who are withdrawing now may still hold out hope of finding a local dance partner before that date and are thus for the moment intent on keeping their noses clean (or simply have faith in Swiss gamblers’ ability to circumvent the domain-blocking via virtual private networks). However, there is the small matter of the Swiss regulators' requirement that any would-be international online licensee be able to demonstrate a 'good reputation,' i.e. not having any dealings with Swiss punters in the five years preceding any new local partnership. The post GVC’s Bwin, PartyPoker brands exit Swiss online gambling market appeared first on CalvinAyre.com. Poland's sports bettors may have another online wagering option, while at least one international operator is getting creative in its attempts to evade the country's digital censors. This week, a number of Polish gambling affiliates reported that the country's Ministry of Finance had issued its 15th online sports betting license to a company called Polski Bukmacher, which literally translates as 'Polish bookmaker.' The company reportedly plans to operate under the Noblebet.pl and OKbet.pl domains. However, while the reports claim the new license was issued on January 3, the Ministry's official list of online betting licensees still shows only 14 names, and neither of the above domains is active. So perhaps take these reports with a grain of salt. Poland’s online sports betting licensees saw their share of the local online betting market rise eight points to 48% in 2018, according to the Ministry’s preliminary figures. What's not in doubt is the growth of the Ministry's blacklist of unauthorized online gambling domains, which rose to 5,598 naughty names as of Thursday. That's nearly 400 names added over the past week, and many of these domains aren't entirely what they seem. More than two dozen of the newly blacklisted domains are directly attributable to Asian betting giant SBObet. However, the company is also responsible for a great many of the other new entries, although you wouldn't know it at first glance, since most of them have to do with food. Among the Polish-blacklisted domains that redirect to SBObet are currybread.com, cake000.com, beer777.com, 128coffee.com, 111.tomato333.com, indiasoup.com, along with multiple numeric variations of each. Non-edible SBO redirects added to the blacklist over the past week include hardlouis.com, colourhim.com, ocstry.com, longmirror.com and many others. Meanwhile, Poland's state-run Totalizator Sportowy gambling operation says its new Total Casino online casino product is off to a strong start, in part because it's the only locally licensed online operator authorized to offer such products. Total Casino, which is powered by tech providers Playtech, made its official debut early last month. This week, Totalizator Sportowy president Olgierd Cieslik told local media outlet Rzeczpospolita that the company expects Total Casino will help boost its online sales to "around 30%" of overall revenue within "three or four years." In terms of certain lottery products, Cieslik hopes online can eventually claim a 60% share, a rate he claimed was “similar to those achieved in the Nordic countries." 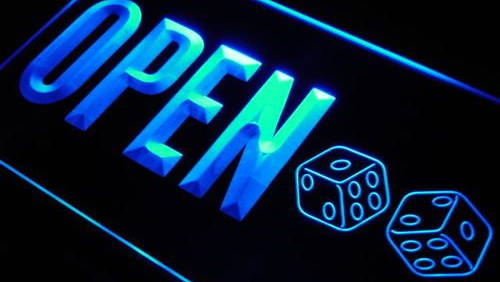 Totalizator Sportowy also holds a monopoly on land-based slot machines outside casinos, and the rollout of the first couple dozen slots parlors began in June 2018. Cieslik said the plan is to boost the number of slots halls to over 200 by the end of this year. To ensure the land-based slots monopoly's chances of succeeding, Poland's Ministry of Finance recently unveiled new draft legislation dramatically boosting penalties for unauthorized slots operators. Assuming these new rules are approved, operators of illegal slot machines could face fines of up to PLN10.8m (US$2.9m). The post SBObet gets creative in dodging Poland’s online gambling blacklist appeared first on CalvinAyre.com. UK-listed gambling operator GVC Holdings closed out 2018 on a high note as online growth helped overcome UK retail declines. On Thursday, GVC issued a trading update covering its full-year 2018 performance, during which the company's pro forma net gaming revenue (NGR) rose by 9% from 2017's result, while group earnings are expected to come in between £750m-£755m, "ahead of current market consensus." The full-year numbers were goosed by a "very strong" online performance, which saw NGR spike 19%, in part due to a 13% rise in online sports betting turnover. That online spike helped offset a poor UK retail performance, which was down 3% from 2017. The UK retail figures will likely stay broadly negative for some time to come, as the Q4 numbers showed over the counter (OTC) wagers falling 7% and wagering revenue down 10%. Fixed-odds betting terminal revenue was up 3%, but that vertical's growth will come to a screeching halt starting April 1. European retail fared better, rising 16% in 2018, and would have been higher but for a 7% decline in Q4. The Italian-facing Eurobet retail operations enjoyed higher OTC betting turnover but margins positively cratered, offsetting strong retail showings in Belgium and Ireland. Speaking to analysts on Thursday, Alexander dismissed fears that GVC's fledgling US market operations – its online gambling and betting joint venture with casino operator MGM Resorts, recently rebranded as Roar Interactive – would suffer from the Department of Justice's new legal opinion on the scope of the Wire Act. Alexander said the DOJ's new opinion "might affect some interstate stuff, maybe affect poker to a degree, for sports betting we don't see it having any impact." Alexander remained bullish on the MGM JV, believing his company is "very well positioned to grab market share" in what Alexander maintains will prove "a very profitable market for us." The post GVC’s 2018 a story of online strength masking retail struggles appeared first on CalvinAyre.com. 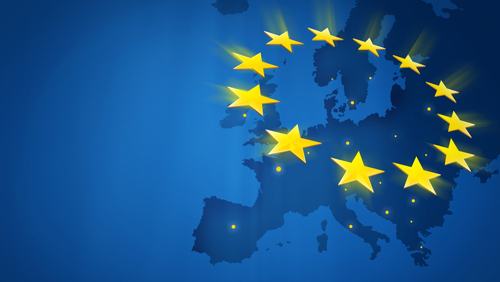 The European Union is taking another step towards getting standards in place for online gaming. It's European Committee for Standardisation has asked Mark Pace, the managing director of Gaming Standards Association (GSA) to pave the way for the creation of online gaming activity reporting standards. GGRAsia reports the GSA announced Pace would take the lead role of the new Technical Committee 456 to this role on January 15 in a written statement. The goal of the committee will be to develop "a single set of data elements and a standard method for data to be supplied to regulators in each EU country." "I am deeply appreciative for the votes of so many member states and will work earnestly to help deliver a sound technical solution that will benefit regulators as well as online gambling operators and suppliers." The GSA has previously announced the establishment of a blockchain technical committee to help create an industry standard. The group expects that blockchain technology will revolutionize the sector and wants to determine how they can apply standards for a smooth transition. The good news for the GSA is they can kill two birds with one stone by taking a hard look at Bitcoin SV (BSV). Through the adoption of BSV, they can standardize and improve the payment systems of their operators by leaps and bounds. BSV is built to scale massively, and can provide an unbeatable standard of fast, safe and secure payments for operators and customers alike. To address the mandate of Mr. Pace's new role, the BSV powered Metanet can provide the blockchain solution the GSA is looking for. As nChain's Sebastian Plötzeneder recently explained, Dr. Craig Wright's revolutionary creation can become a central, standardized source of data for all operators, and remove the need for database silos for each player in the sector. Best of all, it's an incredibly secure and adaptable system. The post Mark Pace to lead online gaming reporting standardization effort appeared first on CalvinAyre.com. 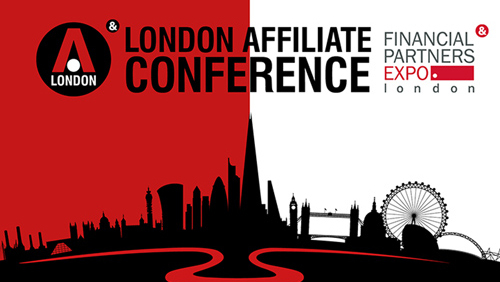 The London Affiliate Conference 2019 is fast approaching. Scheduled from February 6 to 9 at ExCel London, the gathering will offer 20 talks on various affiliate-related topics, including two keynotes, Q&A periods and a debate. Affiliates can gain free entry, and will have plenty of opportunities to network and party it up with each other. In between these socializing events, organizer iGB Affiliate has brought together many of the top experts in affiliate marketing to speak to the gathered crowd. On February 7, the talks kick off with, "Stockholm Syndrome or: How I Learned to Stop Worrying and Love the Swedish Regulator," which focuses on surviving the shift from illegal operators to a regulated environment. Attendees can then hit up the first Question Bingo before lunch, "M&A Mania: How to Know if your Business is Ready for Acquisition." To end the day, discussion will shift to cryptocurrency. Nina Kacharava will discuss the advantages of betting with digital currency in her talk titled "Capturing the Crypto Craze: What's the Appeal of Bitcoin Casinos and How Can You Be Involved?" February 8 kicks off with the first keynote address. Alvin Hussey will discuss affiliate campaigns for social media in his talk, "THE HOOK – The Power of Sharing: Adapting Brand Storytelling for Social." After a short morning networking break, attendees are treated to the second keynote address. Liza Dunning of AirBnB will talk about how her company created high quality engagement with their guests and hosts in, "The Hosts with the Most: How Airbnb Developed its Community-Led Content Strategy." The bar opens at 3:00 p.m., but the talks don't stop then. A three-person panel will discuss the evolving world of streaming in, "Harnessing the Power of Social Media Influencers." The last talk before the iGB Affiliate Awards kick off will be delivered by Judith Lewis. She'll discuss building a strong brand to increase engagement in her talk, "Finding Your Niche: How Diving Deep into Your Brand Increases Engagement with Customers." Register for the London Affiliate Conference 2019 here. The post London Affiliate Conference 2019 speakers focus on community appeared first on CalvinAyre.com. 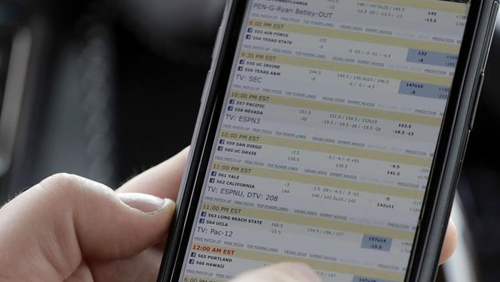 Rhode Island only introduced sports gambling to the state last November, but it has already begun to show considerable signs of life. Now, legislators are hoping to capitalize on its success and take the activity to the next level. A high-ranking senate lawmaker has introduced a bill that could pave the way for mobile sports wagers. Senate President Dominick Ruggerio believes that sports gambling is going to be a boom to the state's economy. Rightfully so, as operators must give 51% of their revenue to the state's coffers. Ruggerio asserts that expanding the market to mobile platforms will make the activity more convenient and help the state earn even more revenue. When the state legalized sports gambling last year, the Twin River Casino in Lincoln became the first to offer the option. The lawmaker's bill wants to allow for the creation of an app that would allow anyone in the state to place wagers on sporting events from anywhere in the state. However, it adds that the individuals would first need to create an account in person at the Lincoln facility or at the casino in Tiverton in order to verify the gambler's age. Ruggerio said in a statement, "The new, in-person sportsbook that opened in November has been very popular, with lines stretching out the doors. 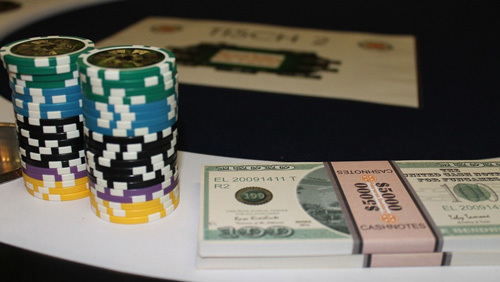 It is an entertainment option that many Rhode Islanders enjoy, and visitors from outside the state are also flocking to our gaming facilities to place their wagers on sporting events. "Expanding to mobile gaming would provide a convenient option for those wishing to enjoy this form of entertainment, and open up the economic benefits beyond the walls of Twin River. I can envision a group of friends from out-of-state spending an evening out in a local establishment where they can both watch the game and place a wager." Technically, any sports gambling expansion in the state would require a vote by the residents. However, the bill is hoping it has found a loophole and states, "The server-based gaming system and all hardware, software, and other technology or equipment located on a hosting facility's premises and used to conduct online sports wagering shall be located in a restricted area on the hosting facility's premises." Of course, the mobile app may never make it past its initial draft. Depending on how the U.S. Department of Justice ultimate decides on the Federal Wire Act, a mobile gambling app could be in violation of federal laws. The post Rhode Island hopes to offer mobile sports bets appeared first on CalvinAyre.com. GGRAsia reports it has received confirmation the Corona Resort and Casino in Vietnam is planning its grand opening this Saturday. The resort, which is located on Phu Quoc Island, is the first in Vietnam to make significant progress in the country's gambling industry. As soon as it opens its doors, Corona will allow eligible locals to gamble. According to the managing director and CEO of Upffinity Gaming Management (UGM), Daniel Kupsin, "We plan to open for business, including local citizens of Vietnam from the evening of January 19." UGM is based in the Netherlands and was appointed by the Phu Quoc Tourism Development and Investment Company JSC (PQTD), a local property development and real estate firm, in 2017 to offer "casino management and advisory services" for Corona. The PQTD is controlled by Vingroup, a Vietnamese conglomerate. Upon opening, all the amenities within the casino's premises will be ready for use. These include all gambling activities, all restaurants and all entertainment outlets, among others. Kupsin adds that the venue was designed by Steelman Partners LLP, architectural firm out of the U.S. that has aided in the design of a number of large casinos across Asia and elsewhere. The casino spans two floors and offers 202,361 square feet of total space. It will reportedly be open 24 hours a day and includes 100 gaming tables – baccarat, blackjack, sic bo, roulette and poker – and also offers 1,000 slot machines and almost 1,000 electronic gaming machines. Corona is the first property to invite locals to gamble. Vietnam has launched a three-year pilot program to economically-qualified individuals in order to ascertain whether or not to roll out more local gambling venues. A second casino will participate in the pilot and is expected to be located in Van Don. The latter is being developed by Sun Group, which is based in Vietnam, and is being built in a remote area around 100 miles east of Hanoi. Vietnam once had a hardline stance against local gambling. It softened its position in 2017 and agreed to offer the pilot program. To qualify, locals must be at least 21 years old and have a monthly income of VND10 million ($432) or more. They must also pay an entry fee to gain access to the gambling floors. The post Corona casino to open this Saturday in Vietnam appeared first on CalvinAyre.com. The XFactor launched its first competition in Malta giving Maltese people the chance to earn the XFactor title. We are now just days away from the Final where one contestant will be crowned the winner of XFactor Malta 2019, and Yobetit is providing bettors with the chance to pick their favourites. The sportsbook is providing customers the best odds available for them to bet on. What's even better is that if you head to Yobetit's new website and enjoy betting on the XFactor between Thursday 17th January 2019 – Tuesday 22nd January, you could win two concert tickets to watch the Final. The Final XFactor show will take place live on 26th January in Malta. The Maltese sportsbook is always looking for new ways to keep its punters entertained and the XFactor Malta has provided a huge source of entertainment for the Islanders. Yobetit will be offering the best odds all the way till the final. "Now's the time to bet on your favourites along with your friends…all on a newly unveiled website that's as sleek as your chances," reported Malta news site LovinMalta. Find all the latest XFactor Malta odds here, courtesy of Yobetit. The post Yobetit offers exceptional XFactor Malta odds & giveaway appeared first on CalvinAyre.com. MGM China, Melco Resorts and Wynn Macau have all announced in the past week that they will be offering a "winter bonus" to eligible employees at their respective Macau venues. Not wanting to be left out of the mix, Galaxy Entertainment has now announced in a press release that it, too, will be providing bonuses, showing appreciation to the staff as employees took the company to "new heights" among "emerging market challenges." The bonus will be given, as in the case of the other casino operators, to all eligible employees at senior management levels or below. The announcement adds, "Although the gaming revenue has slowed down in recent months amid increased competition with newly opened properties, Galaxy Entertainment achieved a solid result overall last year." Galaxy has not reported its fourth-quarter or full-year financial results to the Hong Kong Stock Exchange (HKSE) and only reports full operating disclosures every six months, in accordance with the HKSE's guidelines. However, in reporting its third-quarter EBITDA (adjusted earnings before interest, taxation, depreciation and amortization), it stated that the figure was $498 million. This represented a 10% increase year-over-year, but was also a 10% decline from the previous quarter. The company further stated in its announcement, "Eligible team members will receive the 2018 discretionary bonus equivalent to one month of salary on January 31, 2019. For team members who joined Galaxy Entertainment between January 2 and October 3 in 2018, their bonus will be calculated on a pro-rata basis according to their service days in the year." Bonuses are no longer a surprise gift received by casino employees in Macau. They have come to be expected and many in the industry have been pushing for the extra pay to be given twice each year, once in the winter and a second time in the summer. Melco became the first casino operator, out of the six in Macau, to announce its winter salary bonus program this year. It added that the money will be distributed ahead of the Chinese New Year, which falls this year in the first week of February. Wynn Resorts and MGM China announced their bonus programs almost simultaneously last Tuesday, with Galaxy now following suit. The post Galaxy becomes fourth Macau casino operator to offer winter bonus appeared first on CalvinAyre.com. Zen Cruises Private Limited, a company backed by the Essel Group, is going to begin offering casino cruises in India. The company has confirmed that it will launch its first premium leisure cruise, which will offer a fully-equipped casino, starting this April under the "Jalesh Cruises" brand name. 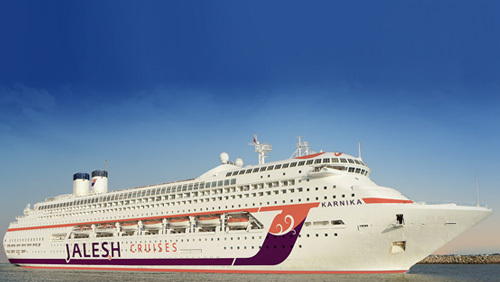 The 2,000-seat Karnika will be the first casino cruise ship to set sail as part of Jalesh. It will launch from Mumbai and travel to Goa before making its return trip, and will stop in various ports along the route. Zen adds that the cruise will include a number of entertainment shows, exotic and authentic cuisine and many adventure activities. According to the casino section of the Jalesh Cruises website, "Roll the dice and spend your night with the lady luck and enjoy a flutter at Players Bar & Casino. Located on Deck 8, the Royal Casino will spoil you for choices. From most popular games like Blackjack, Poker, Scratch-off and Slot Machine Games to some amazing table games, this place is sure to rise up your excitement. "While you are busy praying for your luck, we are here to quench your thirst with some sparkling spirits. Get ready to experience a slice of Vegas right at sea – with thousands of square feet of lights, action, slots, and tables." Subhash Chandra, the chairman of Essel Group and an MP from Rajya Sabha, has helped to develop India's India Cruise Lines Association (INCLA). The organization has been fundamental in convincing government officials, including through a petition to the Prime Minister's Office and the Union Ministry for Shipping, Road Transport, Highways, River Development and Ganga Rejuvenation, to approve gambling on cruise ships, as well as to allow Foreign Direct Investments in the casino industry. It is not clear whether Jalesh will provide casino operations within the territorial waters of India, or turn on the games only after exiting into international territory. The INCLA worked hard to find approval for casinos on cruise ships outside the 12-nautical mile mark and is working on seeking authorization from the government to allow them to operate within territorial water boundaries as well. The post Essel-backed Zen Cruises to offer casino cruises appeared first on CalvinAyre.com.